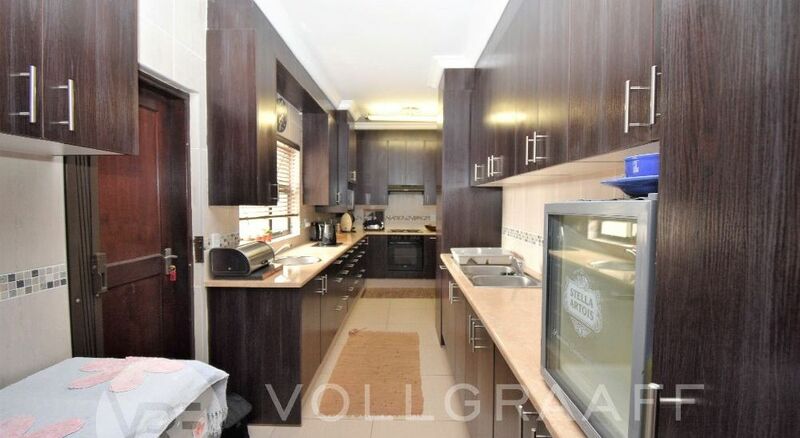 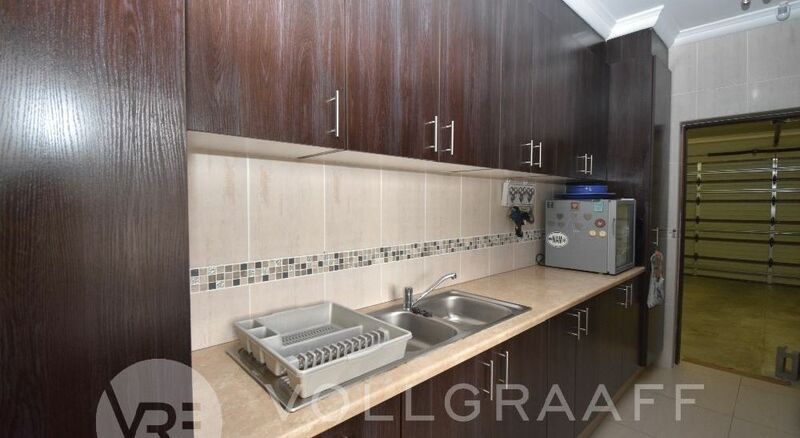 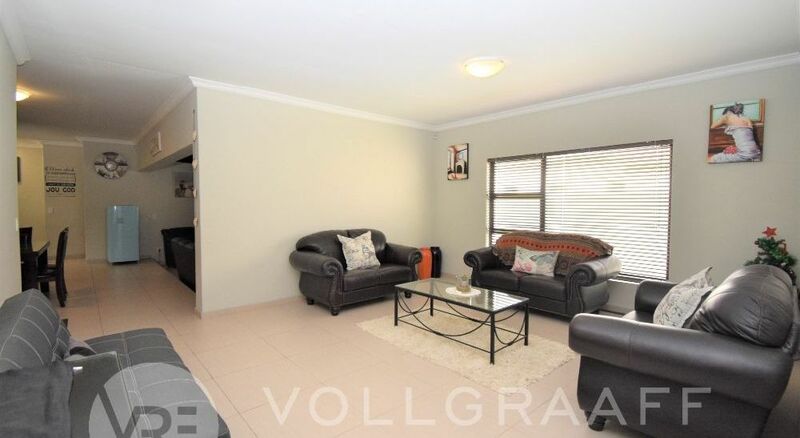 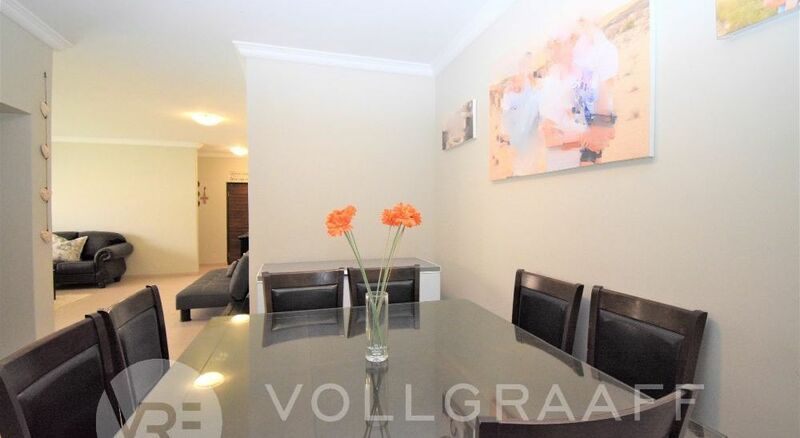 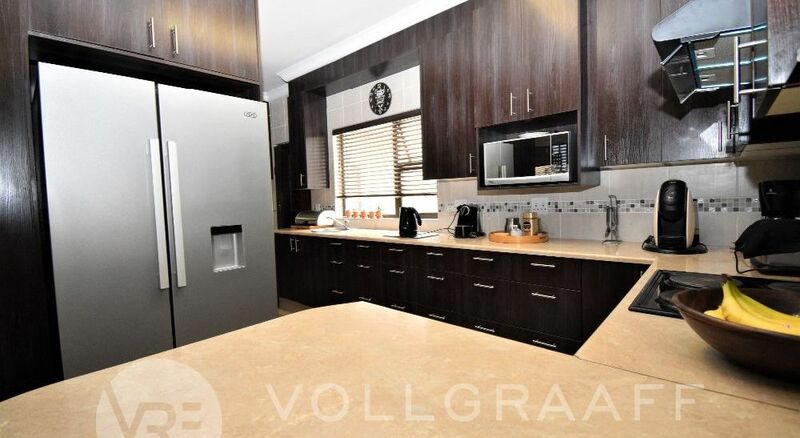 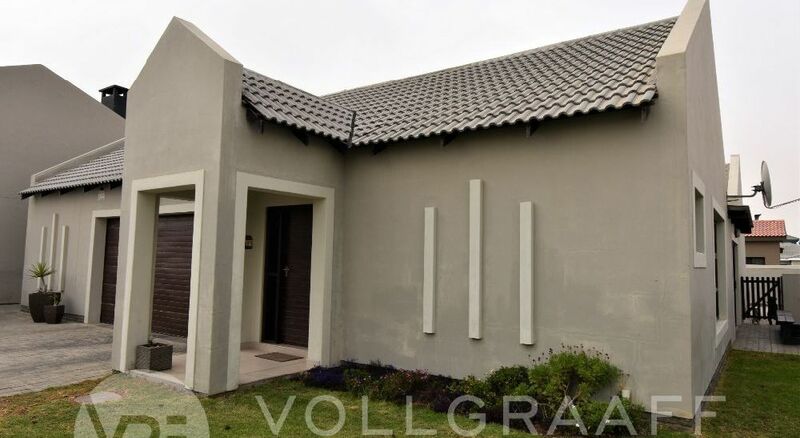 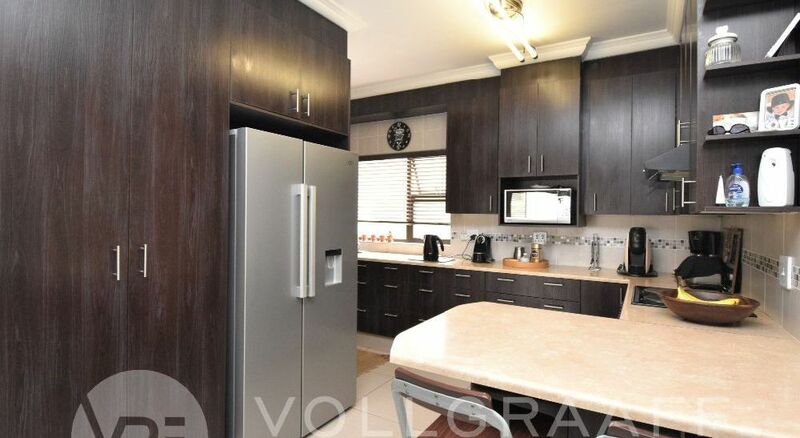 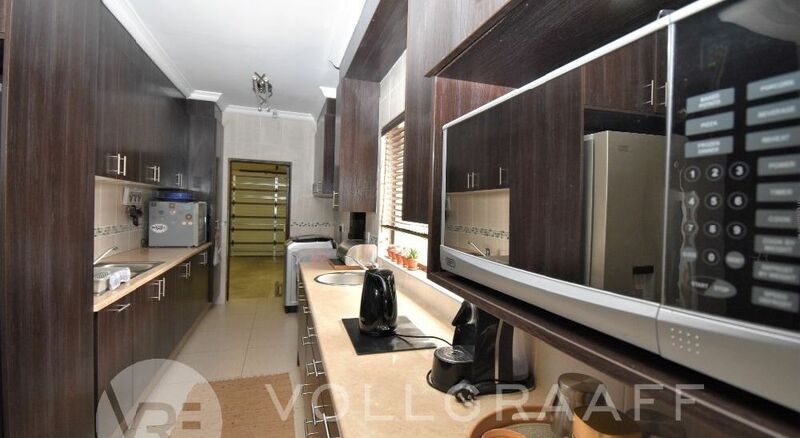 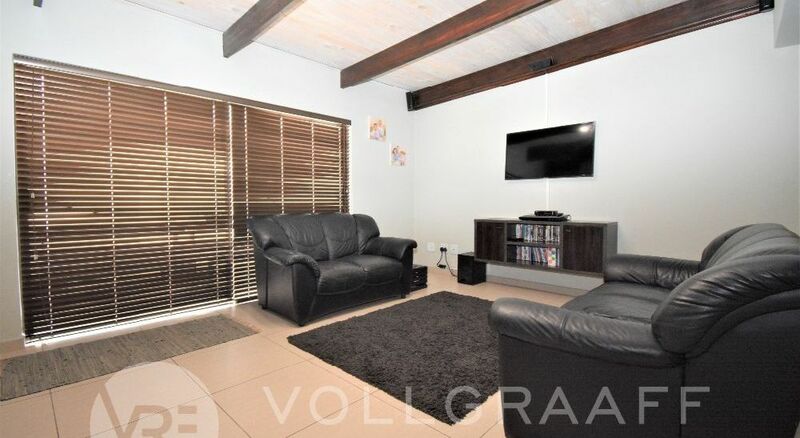 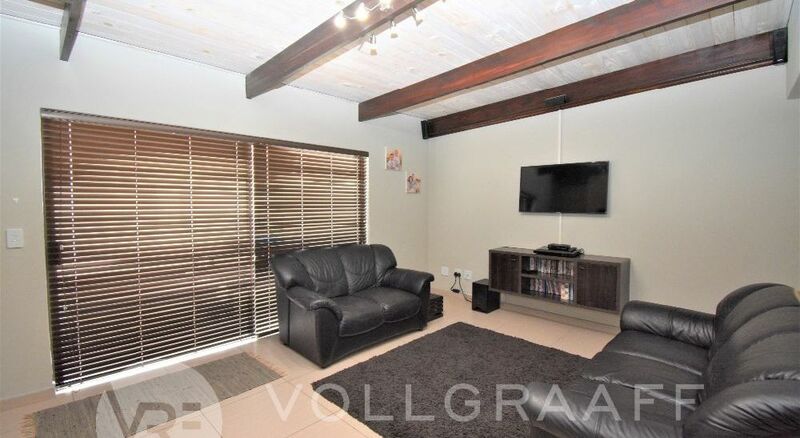 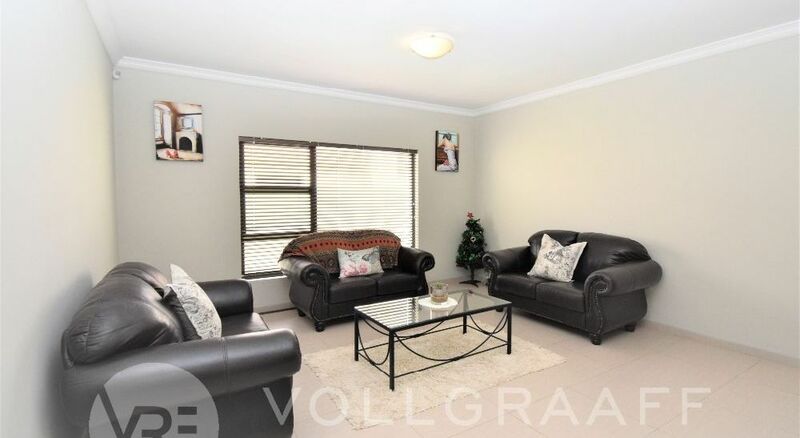 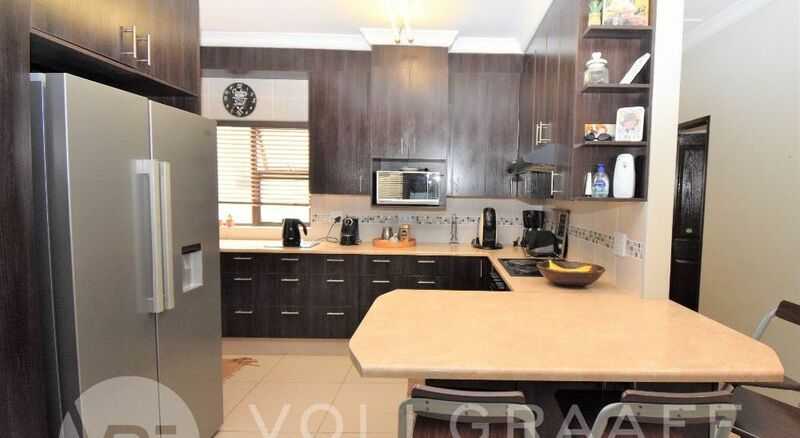 Come home to this neat 3 bedroom family home, close to Pro ED school. 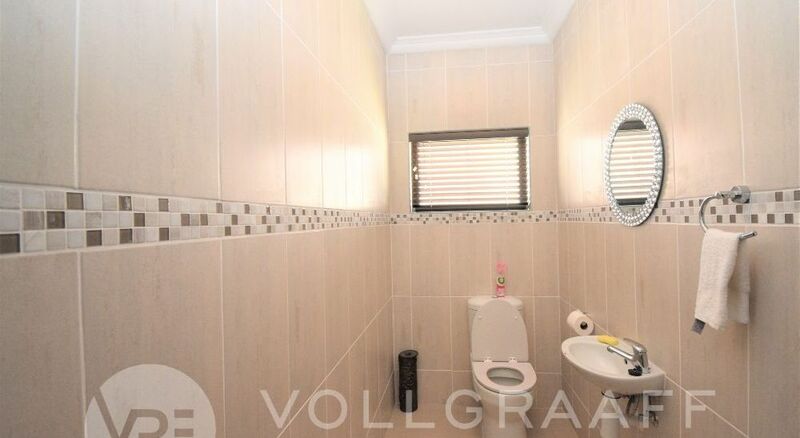 Formal lounge with guest toilet entrance. 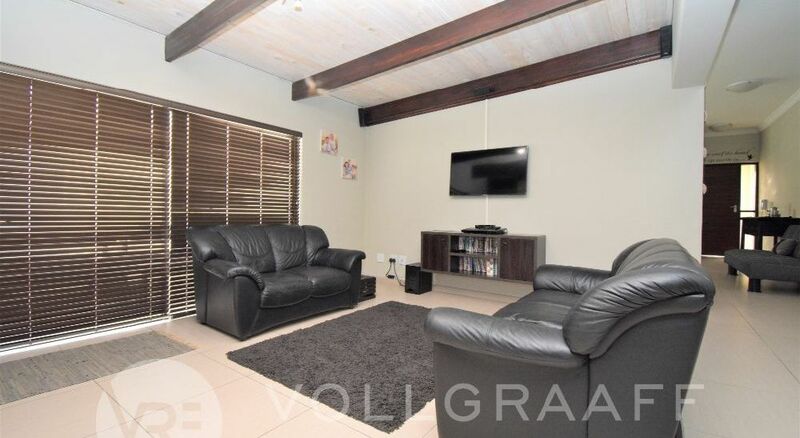 Dining area to the left and informal lounge/tv room with built-in braai to your right with sliding door onto paved patio. 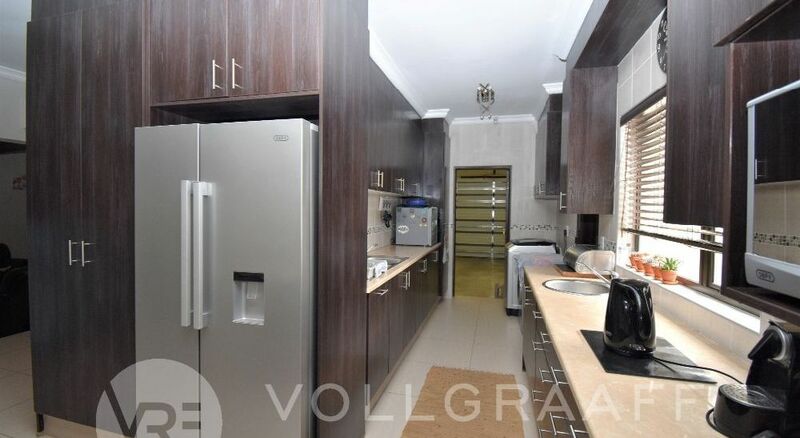 Diagonally across kitchen with kitchen nook and space for double door fridge. 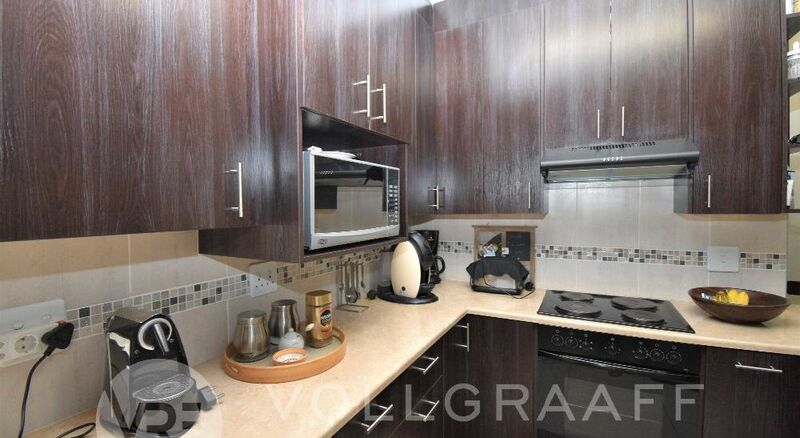 Hidden scullery and ample cupboards as well as prep bowl with inter-leading double garage. 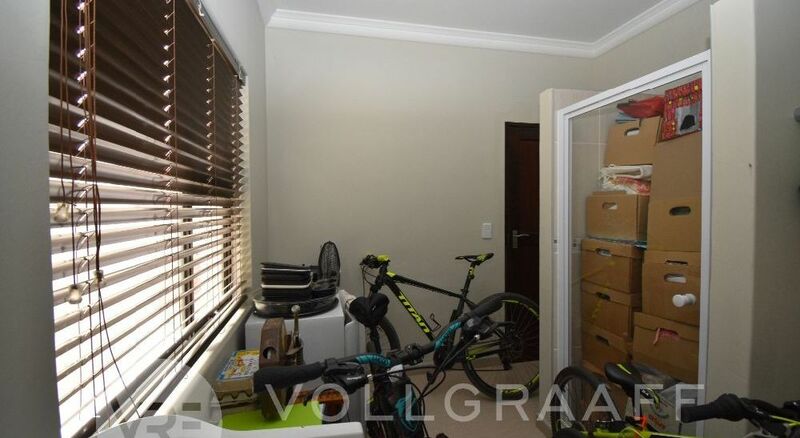 From garage there is a extra room that can fit a bed for nanny/servant with en-suite shower and toilet which is currently used as storage. 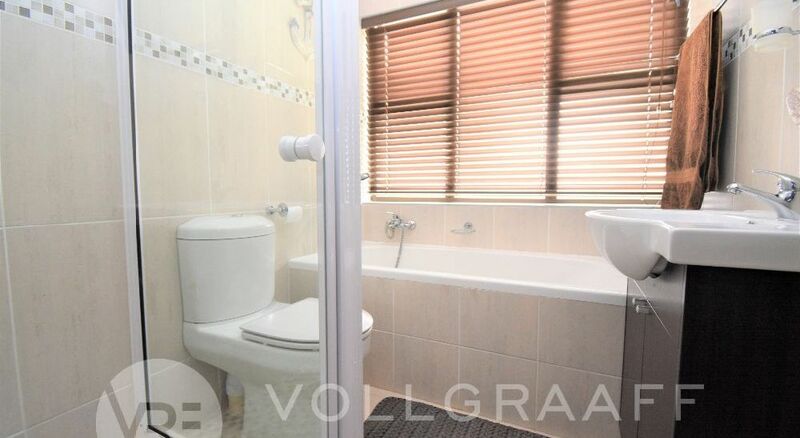 Three bedrooms as the back of the property with passage access. 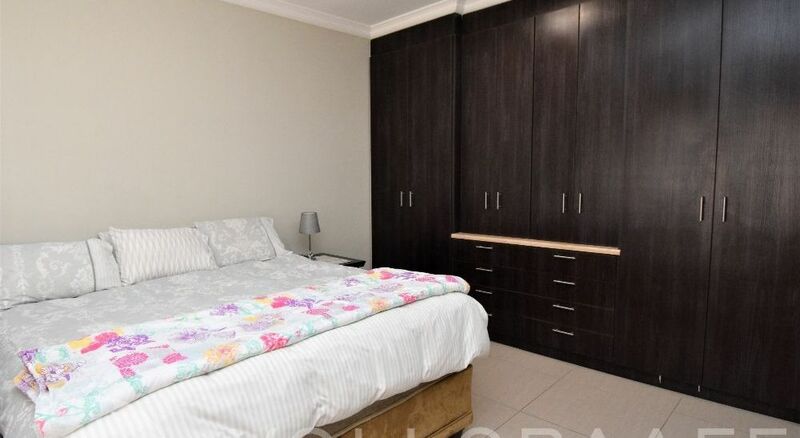 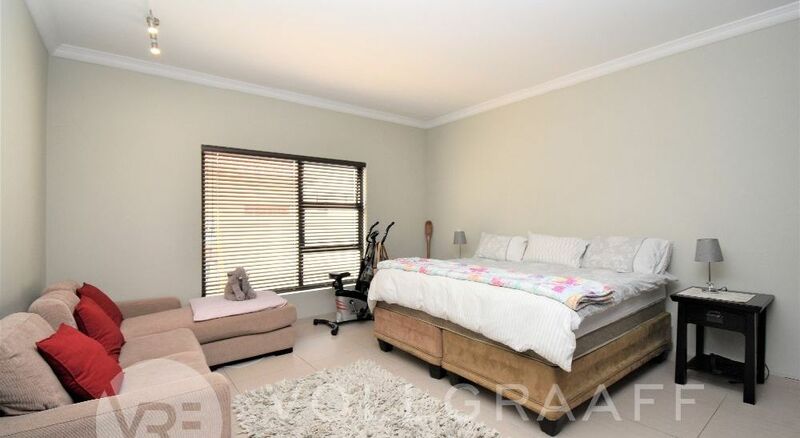 Spacious Main bedroom with full en-suite bathroom and double sink. 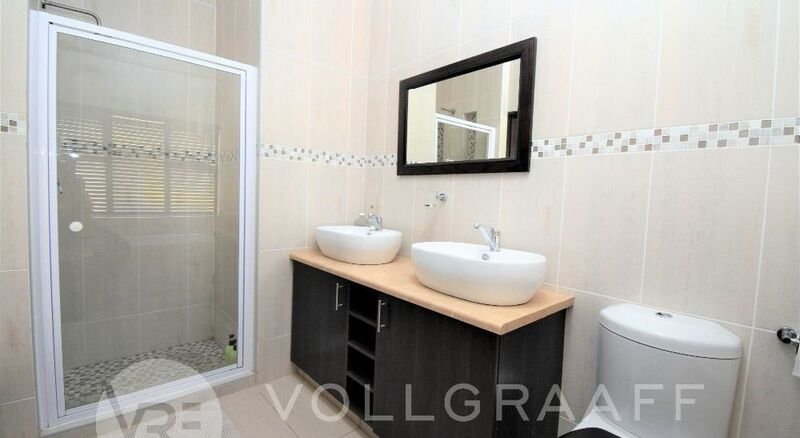 Two bedrooms sharing a full bathroom. 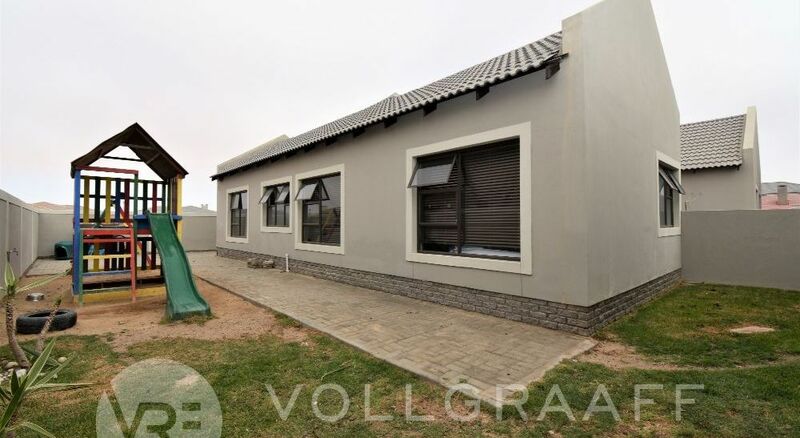 Front garden with combination of grass and paving and enclosed backyard with jungle gym. 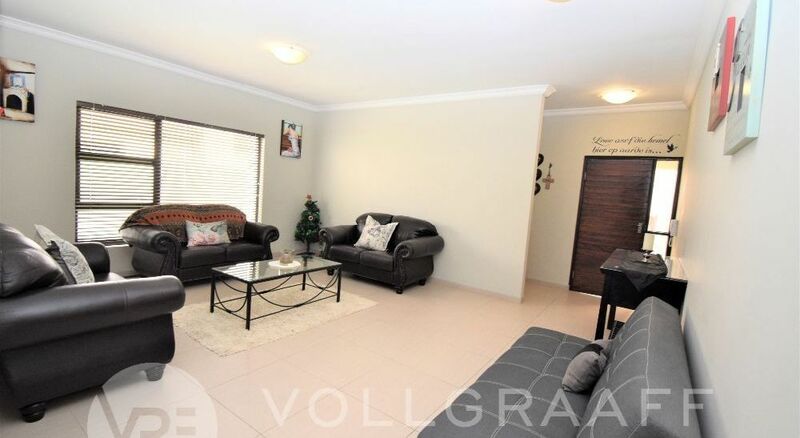 A lovely home waiting to invite its new family.